Covered Law Enforcement was birthed by the Holy Spirit in the heart of Jonathan Parker during the latter part of 2009. While praying for God’s direction and will concerning ministry, coupled with a passion for ministering to those within the profession, he developed the design concept and vision for the ministry. Covered Law Enforcement was introduced as a Christian ministry to the law enforcement profession in January 2010, and was established as a non-profit organization in 2011. The vision is that the Covered LE logo (thin blue line with thin red lines on top and bottom) will become the universally recognized symbol of Christians in law enforcement and that the ministry will create a spiritual revolution within the profession. 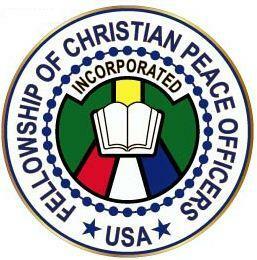 To promote faith and solidarity among Christian law enforcement personnel. To encourage and support witnessing of salvation through Jesus Christ. The first part of the mission is accomplished by creating a distinct and unified identity for Christian officers under the Covered LE “banner.” We will partner with other law enforcement, church, and para-church ministry organizations to support and strengthen the faith of those within the law enforcement profession. The emphasis is not only on those serving in the profession, but on their families as well. Covered Law Enforcement does not establish chapters with formal membership, but rather seeks to serve as a resource and unifying agent for all Christians within the profession regardless of denominational or LE ministry affiliation. The second part of the mission is accomplished through the distribution of Bibles, teaching, training, and creating resources that will be used to bring spiritual renewal for “a new generation of blue.” The logo itself is a powerful tool for personal evangelism (How to Witness Using Covered), and Christian officers are urban missionaries in the truest sense. Covered Law Enforcement is an evangelistic ministry that seeks to minister in a wholistic fashion to the core needs of officers and families within the profession. First and foremost, Covered Law Enforcement is a determinedly Christian organization. It is built upon the person of Jesus Christ, the Son of God. The doctrines and practices of the ministry are based upon His teachings as found in the Bible. GOD – There is one God eternally existing in three persons; Father, Son, and Holy Spirit. JESUS CHRIST – Jesus Christ is the only begotten Son of the Father, conceived of the Holy Spirit, and born of the Virgin Mary. He was crucified, buried, and raised from the dead. He ascended into Heaven and is today at the right hand of the Father as the Intercessor. He is the King who is soon to come a second time to reign and rule in the Earth. HOLY SPIRIT – The Holy Spirit works in the world today to convict of sin, to indwell believers, to provide comfort, to lead us into righteousness as evidenced by the fruit of the Spirit, and to bestow gifts as mentioned in the Scriptures. THE BIBLE – The Bible, consisting of the Old and New Testaments, is completely and equally inspired as the written Word of God. It is the basis for doctrine, correction, and instruction in righteousness. SALVATION – All have sinned and come short of the glory of God. Justification, regeneration, and the new birth are works of grace through faith in the shed blood of Jesus Christ. Salvation is a free gift that cannot be earned, and is only available through a personal relationship with Jesus Christ. Eternal life is for the righteous, and eternal punishment in Hell is for the wicked. Jonathan Parker has been a law enforcement officer in the Chattanooga, TN area since 2007. During that time, he has become well respected in the department and community while working 3 years on evening shift patrol and presently as a School Resource Officer. He was recognized as “Officer of the Year” for his department in May 2010 and again in May 2011, received the TN Office of Homeland Security First Responder Award from Governor Phil Bredeson in September 2010, and was awarded the Life Saving Medal in May 2009 for performing CPR on his wife in July 2008 after she suffered a massive heart attack (read the story). He is also an ordained minister and gifted communicator. Jonathan is married to Meredith, and together they have one daughter, Olivia Grace. To contact Jonathan or schedule him for speaking engagements, please write to coveredlawenforcement@gmail.com.